Ok, yes, St. Patrick’s Day was this past Saturday, but I really wanted to share the awesome NOMs Sarah and I made to celebrate. 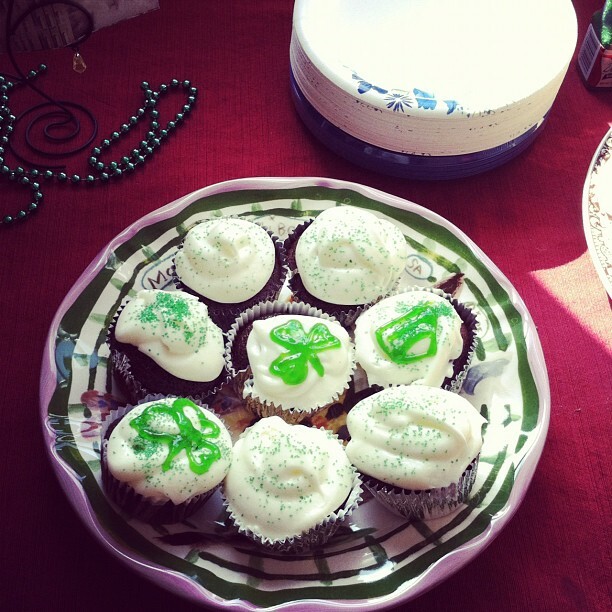 First, we baked and decorated Guinness Cupcakes with homemade cream cheese icing. Here is us mixing things together. 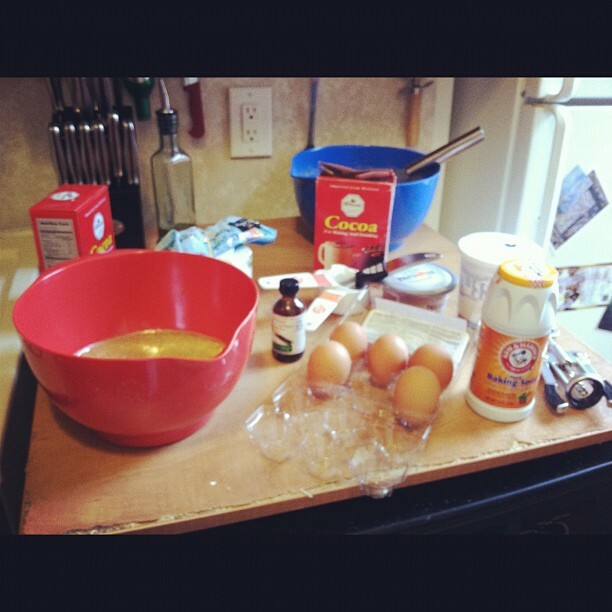 We used this recipe online. As suggested in the comments, I actually substituted in the Brooklyn Brewery’s Chocolate Stout for the Guinness to give them a richer flavor. They were absolutely as good as they look! Chocolatey without being too rich, and the icing was a great consistency. I think that making them the night before and refrigerating them really helped make them firm. I will be making these again soon. I also wanted to make a more traditional Irish food. 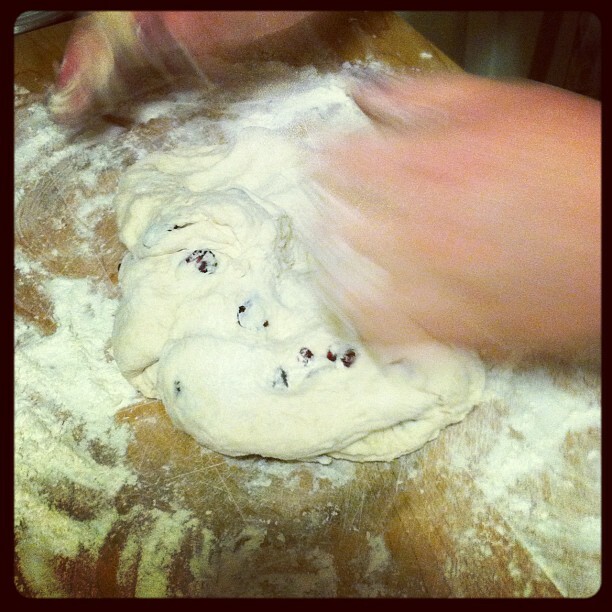 I found this recipe for Irish Soda Bread with Cranberries on the website of one of my favorite food blogs written by chef Marcus Samuelsson (his restaurant is in Harlem). Here is Sarah kneading the bread. This one was so simple to make. I have never made bread before, so this was an easy first try. The instructions were easy to follow. 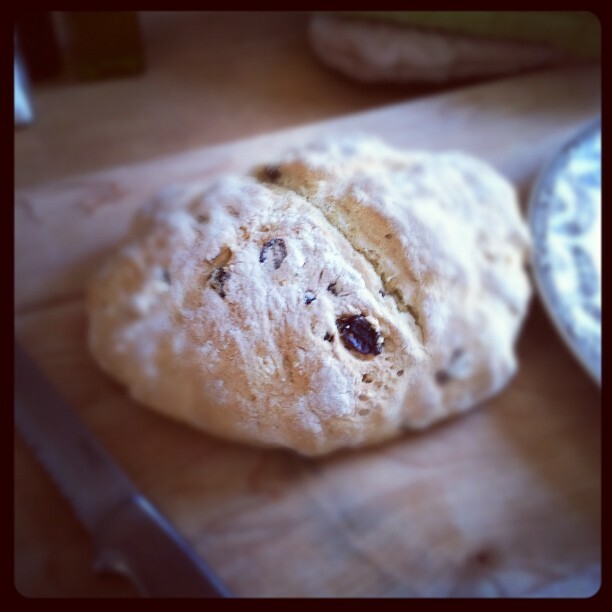 In the end, we had a beautiful, delicious loaf of soda bread.